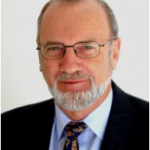 David Hawkes is a Senior Associate and a Director of The Ethicos Group Pty Ltd, and an innovative leader in public sector reform, human resource management, industrial relations, change management, grievance resolution, ethics and governance. David was formerly Commissioner for Public Employment in the Northern Territory of Australia for thirteen years. He previously held a similar position in Tasmania for five years. David’s earlier career was in industrial relations as a senior union official in Tasmania, Papua New Guinea, and the Australian Public Service. Since 2001 David has worked as Project Director/Strategic Adviser on a number of AusAID funded Public Sector Reform projects in several South Pacific countries and as a Senior Associate with Mercer Consulting (Australia) Pty Ltd for eight years. David’s particular areas of interest and expertise include governance, institutional strengthening, executive and leadership development, HRM policy and practice, industrial relations, and ethics and accountability.